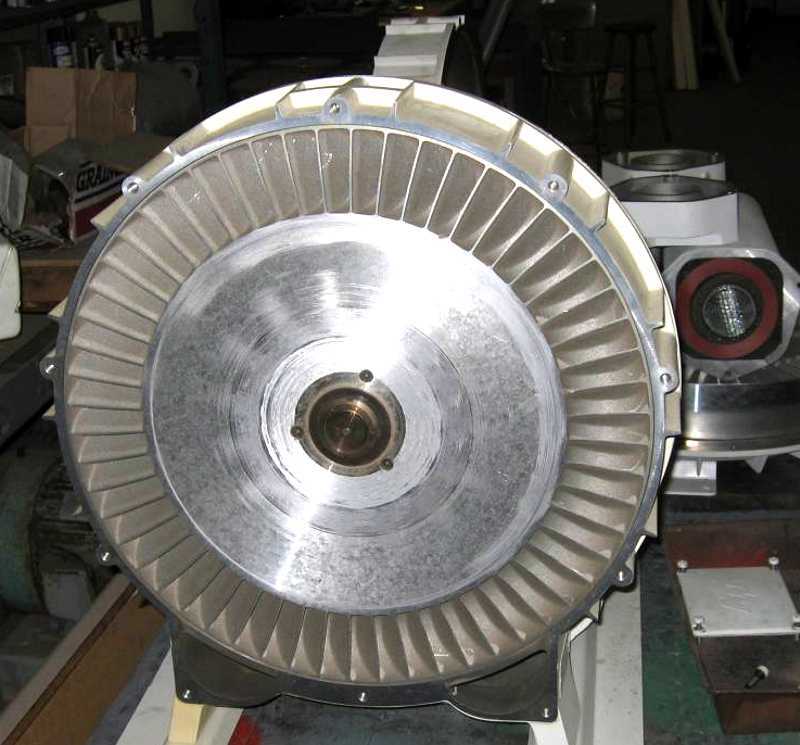 A regenerative blower is an excellent and frequently used source of air for neon fires. Very few people get to actually see one apart. 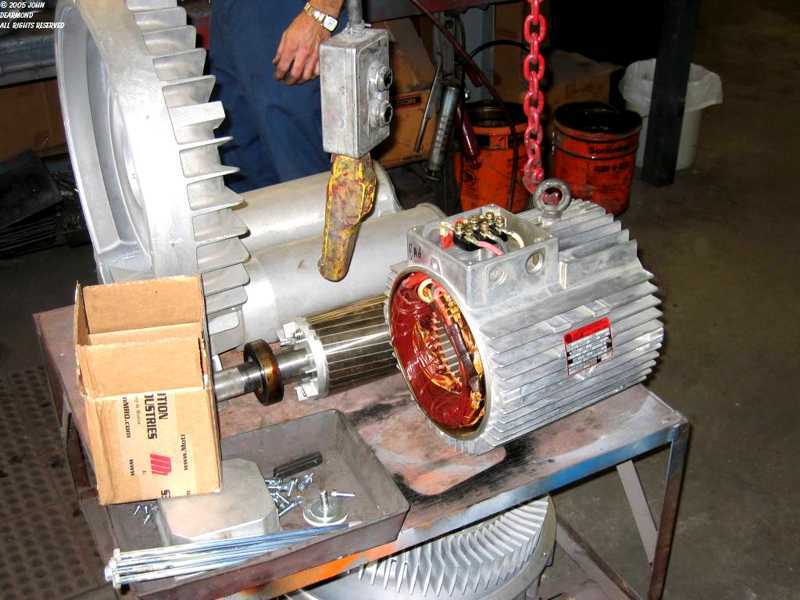 I recently had a camera handy while we overhauled a blower at Jerry's Electric Motor Service. I took some photos along the way. 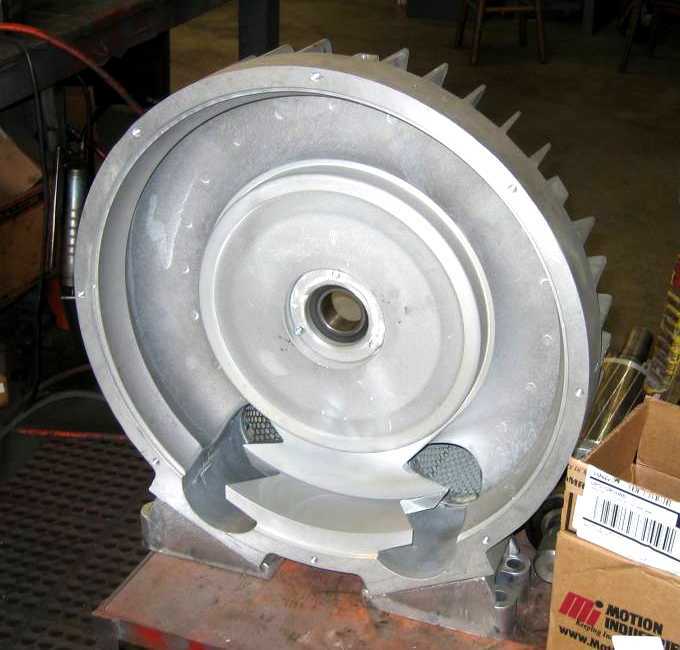 Caution: Regenerative blowers operate with very tight tolerances. The rotor runs at a very high velocity. Ergo, the unit tolerates very little abuse. 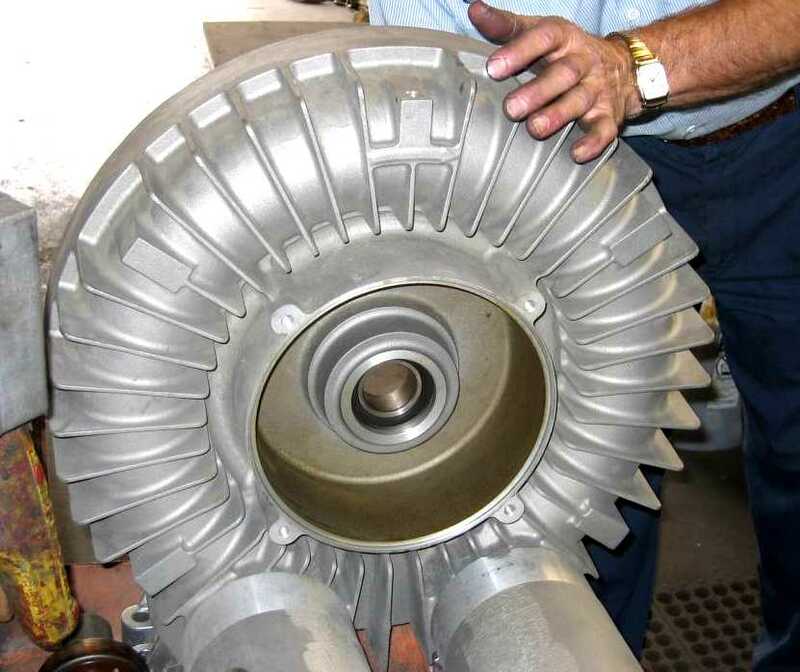 If you decide to disassemble your blower, do not beat or pry on the housing if you expect the rotor to not drag afterward. 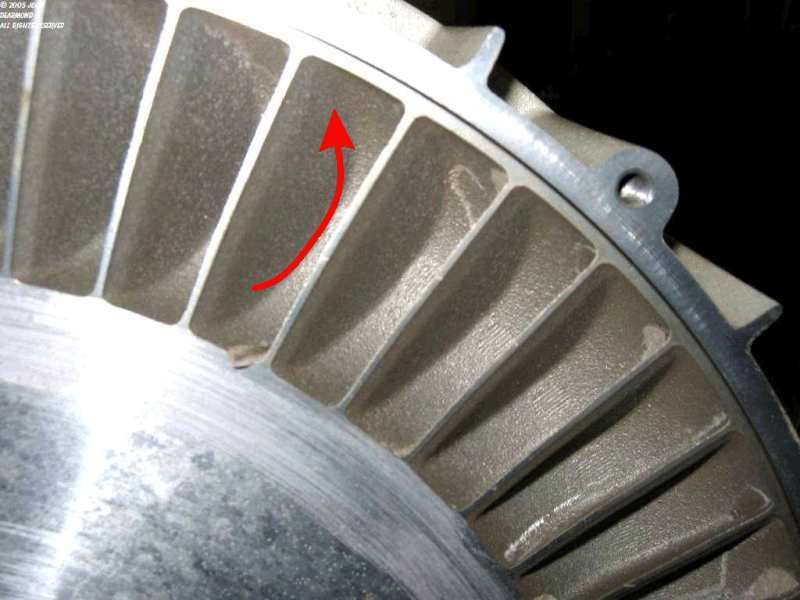 Even a tiny opening in rotor-diffuser clearance will cause a dramatic decrease in performance. The most common repair is damage caused by bearings wearing out. The rotor-diffuser clearance is so tight that a bearing does not have to fail catastrophically to cause rotor-diffuser contact. Even slight scuffing of the diffuser face, damage to the rotor blades or warpage of the rotor will dramatically reduce the unit's performance. Therefore do not wait until the bearings fail completely. 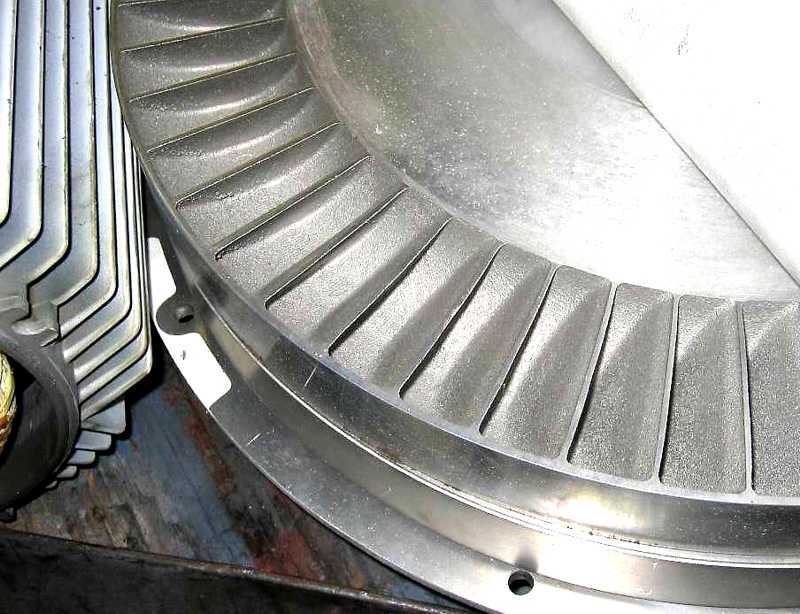 Take the unit out of service and replace the bearings at the first sound of roughness. Jerry's has the special tools that make taking the machine apart easy and safe. If you don't have these tools then either proceed very very carefully or consider taking the blower to a motor shop. The diffuser housing being trial-assembled to check fit. The motor and rotor are removed. The mufflers are assembled to the housing. The rotor mounted to the motor. Closeup of the rotor blades. Rotor Detail. Arrow shows the direction of the air flow. Mufflers. 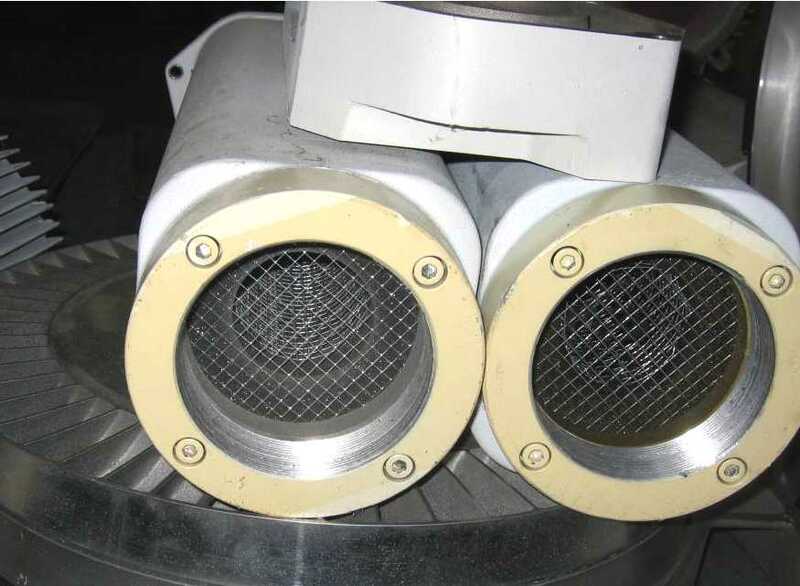 Maintenance of these mufflers is essential to controlling noise. The fibers in the mufflers become packed and broken from the intense sound levels. Replacing the muffler internals is a routine maintenance task.